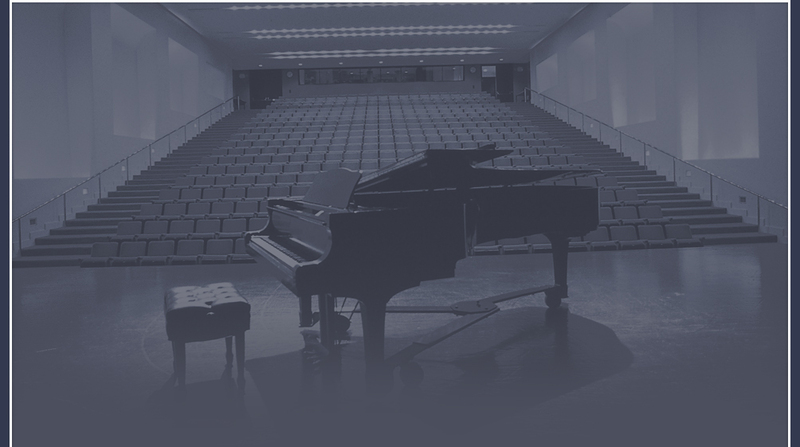 About Us: The Renaissance Music Review is a marketing tool for performers, record companies, talent agencies, advertisers and related entertainment entities. My name is Sam McKeith a former William Morris agent. 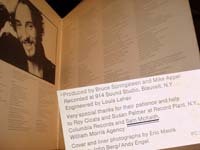 At a pivotal point in both their careers, I had the distinction of being the personal agent for both Stevie Wonder and Bruce Springsteen. I began my professional career in August 1968, and what an auspicious beginning that turned out to be. At the end of a first day in which I had absolutely no clue as to what I was doing or what the job actually entailed, I had the pleasure of hanging out with dear friend Herb Spar, a William Morris agent at the time (Herb was the one who recommended me for the position) and the legendary Bill Graham of Fillmore East and Fillmore West fame. After dinner and after checking out a Gary Puckett & The Union Gap performance at the Westbury Music Fair in Westbury, Long Island, we decided to call it a night. While walking along 8th Avenue near 46th Street, Herb suddenly stopped and said, “Let’s go in here for a moment.” Here, turned out to be Steve Paul’s Scene, a place where a lot of new up and coming stars liked to play and hang out: Pink Floyd, Jeff Beck, Traffic, Fleetwood Mac, The Chambers Brothers et al. Word was that on occasion, even the great Jimi Hendrix liked to drop by the Scene just to jam – What a first day! In time and with much hard work, determination and focus, I began to feel confident with what I was doing. I clearly understood I was a guy in the right place at the right time. The years I spent working at the William Morris Agency turned out to be one of the most enjoyable rides of my life. 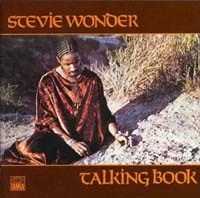 In 1970 I was asked by Stevie Wonder, what I thought he should do in order to revive interest in his concert appearances. He was no longer doing business on the road. Like so many aspects of society affected by the turbulent 60’s, the music business had also experienced its share of change. AM radio had lost some of its appeal, and seemingly, only album selling artists played on FM stations resonated with young record buyers and concert audiences. 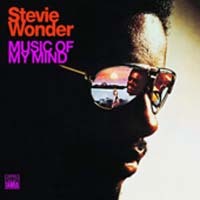 Therefore, the suggestions I made to Steve were that he first put together an album with a consistent theme throughout, as opposed to a random compilation of hit singles – the format most commonly used by black recording artists in those days. Then, once the album was finished, he should assemble his own band instead of just hiring side musicians from date to date. Next we discussed the best way to broaden his audience without alienating his already established fan base. We concluded he should continue to play all the important R&B venues like the Apollo Theater in New York City, as well as other meaningful rhythm & blues establishments in markets like Baltimore/Washington, Chicago, Detroit and Atlanta. Then, with new album and newly formed band (Wonderlove) in tow, Steve needed to begin playing all the so called hip underground rooms in primary, secondary and tertiary markets. Places that attracted strong followings of curious college age music listeners. This demographic immediately embraced his new presentation. Lastly, I recommended he tour in support of a major white group that would put him in front of huge audiences he would normally never reach. In 1972 Stevie Wonder toured with the Rolling Stones. 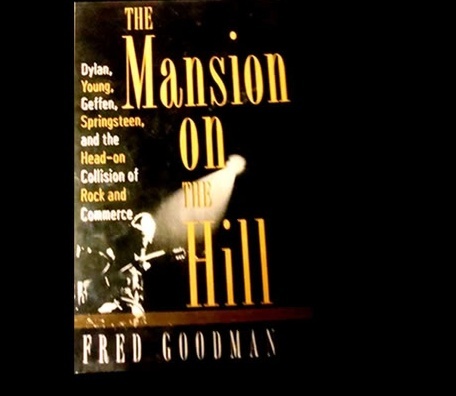 Concerning the extent of my involvement with Bruce Springsteen, please refer to the 1997 Random House publication “The Mansion on the Hill” by Fred Goodman and the classic "Born to Run" album. Also, the 2012 Simon & Schuster publication "Bruce" by Peter Ames Carlin. Although I really enjoyed the exciting years I spent working at the William Morris Agency, I had dreams and aspirations beyond what I was doing. So, in the late 1970’s I decided the time was right for me to strike out on my own and leave the agency. My expectations of success in the music business were both lofty and realistic. However I soon learned that things don’t always work out the way you planned. In time I found myself an outsider, homeless and broke. Still, I refused to see myself as a victim. Instead, I chose to persevere, acknowledge the disappointments for what they were and look for a better way to do things. Since I no longer wanted to be an agent, I pursued other paths to try and get myself resituated in the music business. I took a shot at artist management, record production, and even held myself out as an independent consultant – NONE OF THESE EFFORTS WORKED! However, I eventually came to the understanding that these attempts were really not failures, but more a matter of me paying my dues for something better that would most assuredly come down the line. IT IS IMPORTANT FOR ONE TO HAVE A MEASURE OF SELF BELIEF AND FAITH IN THE CORRECTNESS OF WHAT THEY ARE TRYING TO DO! As a consequence, those experiences and my background as an agent became the impetus for the creation of The Renaissance Music Review. So, having only limited finances from a part time telemarketing job, but brimming with renewed confidence, I began running my business from Central Park. All I needed was an answering service to receive calls, a post office box for mail, a subscription to trade publications and a pocket full of coins to return calls. Back then there were no such conveniences as the Internet or cells phones. Still, for me it was a new day. Stripped of certain trappings and the insidiousness of office politics, I found myself healthier, more determined and spiritually lighter. I also reasoned that if it has been this difficult for a guy with my background to succeed in a business where I had a degree of understanding, how seemingly impossible it must be for those without that same advantage. That was then, this is now, and I have no desire to dwell on the past. The 21st century, technology, the digital world, and multiculturalism have ushered in many changes, and to a degree – leveled the playing field. Many people who for myriad reasons, who were once shut out and frustrated in their effort to achieve, now at least have a platform from which to be heard – THE INTERNET. Since I too have had that same experience, I mused, why not share some of what I have been blessed to have seen, done and learned with others? Utilizing the services of upcoming quality artists for select in person appearances, Internet TV, and ongoing video episodes; TRMR will shed light on important music industry issues and demonstrate a process (NOT THE ONLY WAY) that should be of benefit for artists enthusiastic about their careers in the music business, and in building and growing their fan base.